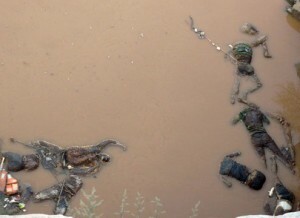 A new twist was added on Thursday to the controversy surrounding the mystery corpses found floating on the Ezu River three weeks ago, when the Movement for the Actualisation of the Sovereign State of Biafra claimed that the corpses belonged to its members arrested and detained by security agencies in Anambra State. In its first reaction to the discovery of the corpses, MASSOB said the corpses were bodies of its members, who were never released from detention or charged to court by the police. The Director of Information, MASSOB, Mr. Uchenna Madu, said the movement had petitioned the Secretary General of the United Nations, Ban Ki-Moon; President Barack Obama; the United Nations Human Rights Commission; and Amnesty International, protesting the mass killing of its members by Nigerian security agencies. He gave the names of MASSOB members the movement suspected to be among those killed and dumped in the Ezu River to include Basil Ogbu, Michael Ogwa, Sunday Omogo, Philip Nwankpa, Eze Ndubisi, Ebuka Eze, Obinna Ofor, Joseph Udoh and Uchechukwu Ejiofor. He said they were arrested at MASSOB security office at Onitsha Anambra State on November 9, 2012, by a combined team of the army, police and State Security Service men and handed over to the State Anti-Robbery Squad headquarters, Awkuzu Anambra State, where they were detained until their disappearance. He said, “Efforts by our counsel to secure their bail from the police proved futile. Our demands for their arraignment before a competent court of law were frustrated by SARS officers. They claimed that the court was not sitting because of Christmas. 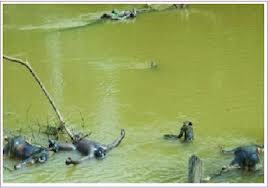 The Anambra State Police Public Relations Officer, Mr. Emeka Chukwuemeka, however dismissed the claims of MASSOB, saying the police were still waiting for the report of the autopsy carried out on the corpses dumped in the river. Igbani and two others (Ugwu Chikezie and Chukwudi Udemobi) were on Thursday arraigned at the magistrate court on a two-count charge of conspiracy, aiding and abetting.